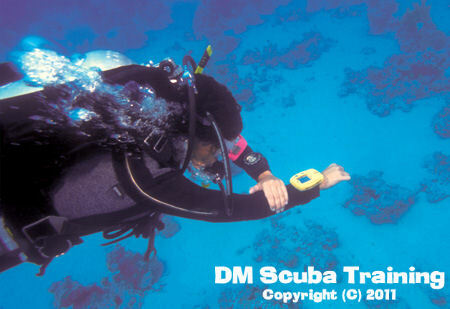 •To develop the skills of planning and carrying out dives without a partner when preferred or necessary. 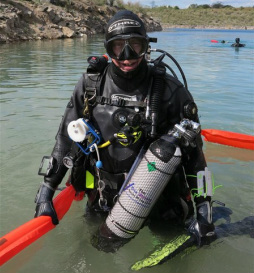 •To sharpen skills of diving self-reliance, making the diver a stronger partner in a dive pair or team. 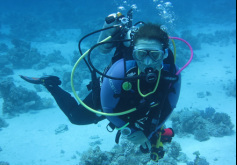 As this is aimed at the already experienced diver it is taken as read that you will already be in possession of appropriate active-diver equipment, including full set of dive kit, pony bottle set or stage cylinder*, DSMB and reel, spare mask, line cutter or knife, dive computer and audible signalling device.